Podcast #68- Happy 5th Birthday! Natalie and I are back! We met for our annual Christmas Eve podcast and discussed many important issues. Listen to hear about our 2106 entries and results from the Festival of Trees (spoiler- we’re now multiple award winning tree designers). We also discuss our recent Christmas adventures and what the future holds for our site. We have challenged ourselves to be more engaged in sharing our Christmas joy in 2017. Listen to the whole podcast to hear our plans for next year- it’s going to be good! Yesterday Natalie wrote a little recalling some Epiphany posts of the past. It sparked me to review some ideas and practices for the liturgical feast. Today Epiphany is celebrated at the mass on the Sunday between January 2 and 6, but the actual feast day is the 6th (or the 5th if you stick to the strict Julian calendar dates of old- but that’s a whole other post). 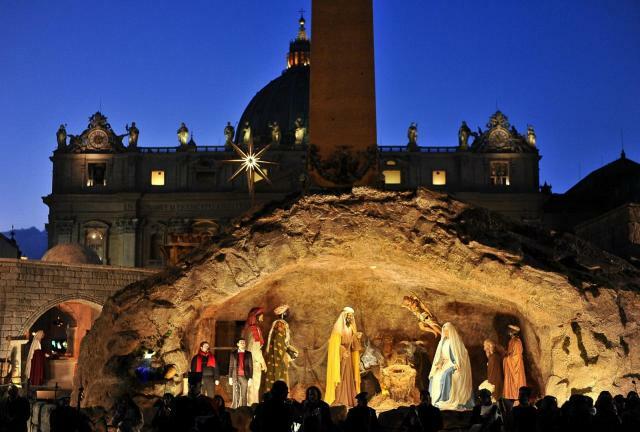 The feast combines the major points that showed the new baby Jesus being recognized as man and God’s flesh on earth- the adoration of the Magi, the baptism of Jesus in the river Jordan, and the 1st miracle of the wedding feast in Cana. The importance and level of recognition of the feast varies around the world today. It is relatively unnoticed in the US but continues to be a national holiday in places like Finland, where all but a few essential services are closed. Traditions of the day include activities like the baking of the king’s cake, community carols, and gifts for the children to represent the gifts of the Magi. Did you remember to replace your shepherds with the wise men in your nativity scene? 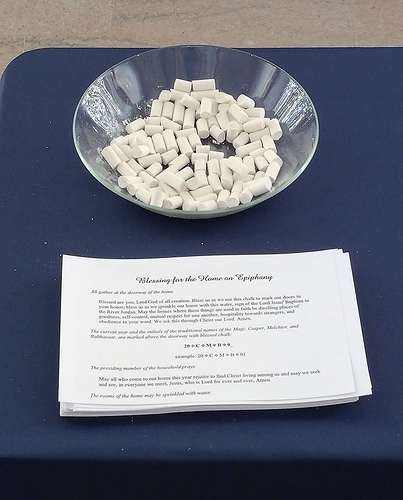 At the end of mass people take some of the epiphany water and the chalk home. The water is used to bless the rooms of the house for the new year. The chalk is used to bless the house. 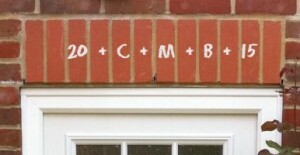 To do the blessing the chalk is used to write above the door to the house like this 20 C + M + B 15. The 20 signifies the millennium and century and the 15 the decade and year. 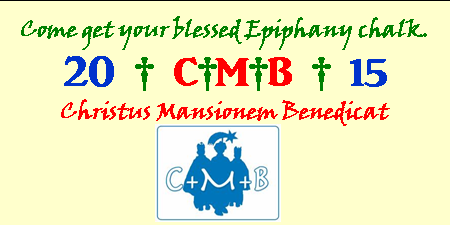 The C, M, and B are the initials of the Magi- Caspar, Melchior, and Balthasar but also represent the blessing “Christus mansionem benedicat”- Christ bless this house. The blessing remains above the entryway until Pentecost (May 24th). As an added little challenge, tradition holds that the first time any enter through the door they should step first with the right foot- maybe the origin of the phrase “starting out on the right foot”. I didn’t make it mass to get chalk last Sunday but it’s ok for the “father of the house” to do a blessing as the note is made above the door: “Let us pray. Bless, + O Lord God almighty, this home, that in it there may be health, purity, the strength of victory, humility, goodness and mercy, the fulfillment of Thy law, the thanksgiving to God the Father and to the Son and to the Holy Spirit. And may this blessing remain upon this home and upon all who dwell herein. Through Christ our Lord.” A blessed and happy new year to you all! 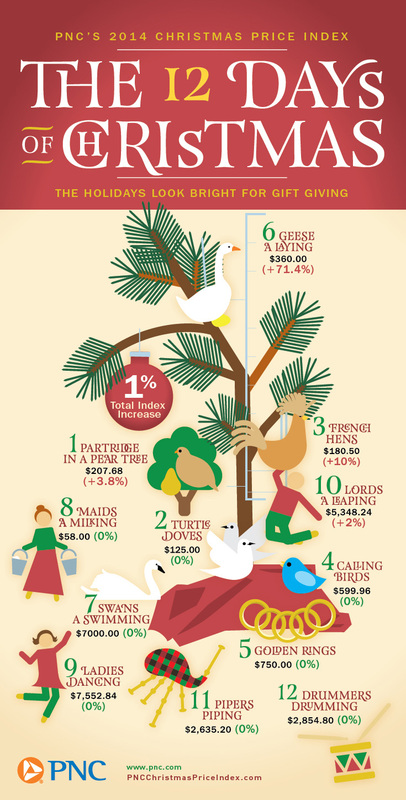 What’s the cost of those 12 Days of Christmas? I had a little extra time while working with a group of kids today. To finish up our time, groups were challenged to see who could list all the gifts of the classic song Twelve Days of Christmas first. Funny enough none of the groups got the list just right- not sure about the ducks and the chickens that were suggested- HA! After reviewing all the correct gifts for each of the days, the groups were challenged to guess what the cost of the gifts might be. 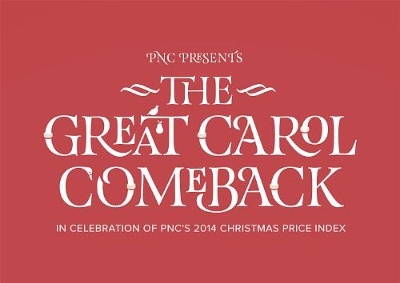 Following a WILD set of guesses we went to the web and found this little gem: The PNC Christmas Price Index. According to the website the index was started 31 years ago by one of the economists at PNC. HE wanted to know what the cost would be for one set of each of the gifts listed in the song. This initial quest for knowledge has become 30 years of looking at the adjustments and cost rise and fall over time. You can see trends in the US economy reflected in the Christmas Price Index. The site is pretty cool. There is a lot of interesting financial info- you can look at the total price over time, the price of individual gifts over time, and look how things as varied as the internet and fuel cost have affected the prices. There is a complete separate section of the site the provides educators with ways to use the information to implement some lesson on financial literacy (don’t be surprised in my classes if you see this round about the 22nd and 23rd). The site also has lots of fun and clever parts to it. There is a section dedicated to “updating” the song itself since it “has fallen to an all-time low in popularity”. The section is titled The Great Carol Comeback and features cool renditions of the song for each of the 12 gifts. Future classics like “Milk Bucket Music”, “Golden Ring Orchestra”, “Bird Call Quartet” and “French Hen Hairband”. Be sure to check out all twelve of the The Great Carol Comeback. Oh, and in case you were wondering, the 2014 price of one set of all gifts is $27,673.21. Seems fair, right? Podcast #65- 90 Days to Go! Podcast #65- 90 Days to Go! 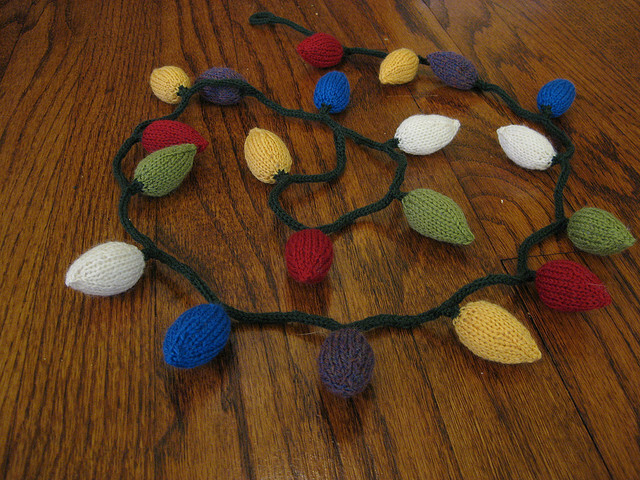 https://theyulelog.files.wordpress.com/2014/09/92514.mp3Click here to listen to the newest podcast- Knitting ornaments and Trivia too! Listen in to get the latest updates on the Yule Log’s entries for the 2014 Festival of Trees, some quizzes on Christmas Trivia, and an update on the return of our daily posts. Natalie and Jeremy talk about some Christmas yard sale finds and deliver more details about their tree designs. You too can be part of the Festival- volunteer to help with the fun! Podcast #64- 104 Days to Go! https://theyulelog.files.wordpress.com/2014/09/91014a.mp3Click here to listen to the newest podcast- Time to Start Again! Natalie and Jeremy are getting back to work. 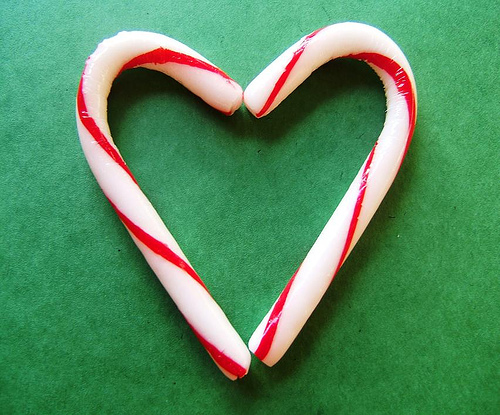 After a long nearly 6 month break, it is time to refocus our Christmas spirit. 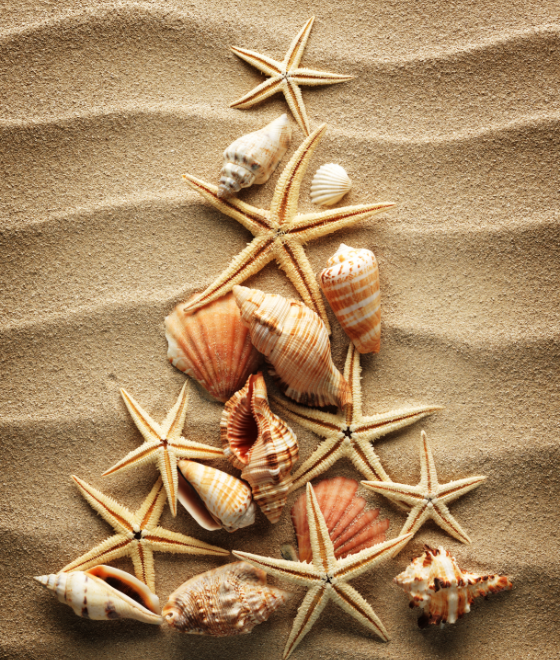 We are excited to get back to sharing all the joys of the season. Today we took to the mobile studio and recorded while on the go (forgive the poor recording quality- a little studio trouble). We discuss our lack of Christmas in recent months and our renewed energy for the Christmas spirit. We talk about elves and trees and make the announcements about our tree themes for the 2014 Kennedy Krieger Festival of Trees. Give it a listen and let us know what you think about our tree ideas. Looking forward to getting back to our 2014 structure of KNOW, PLAN, and DO in the coming week. Merry Christmas everyone! !